• The Festival is accredited by the Academy of Motion Picture Arts and Sciences as a qualifying festival for the Academy Award for Best Short (Live Action). Only 60 festivals out of over 3,000 worldwide share this honor. 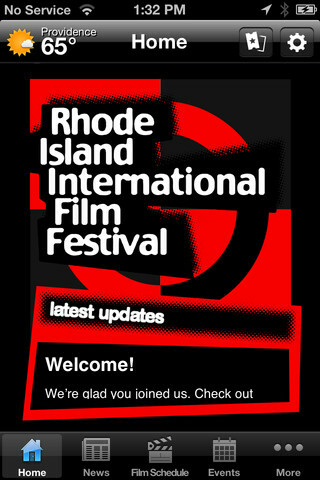 RIIFF is the only AA affiliated Festival in New England. (as of 2004). • 23,700 participants for RIIFF 10th Anniversary events. • 2,170: Number of Films entered in competition to the Festival up from 1,547 in 2005. • 307 films were screened over the six-day run of the Festival. • 3.1 million hits on the RIIFF website throughout the year. • 29: Number of World Premieres presented during the Festival. • 19: Number of United States Premieres presented during the Festival. • 1: RIIFF LIFETIME ACHIEVEMENT AWARD to actress, Cicely Tyson. • 1: RIIFF CREATIVE VISION AWARD to American director, Michael Corrente. • 48: Number narrative features screened. • 29: Number of feature documentaries screened. • 61: Number of countries represented in competition at the Festival. • 33: Number of states represented in competition at the Festival. • 232: Number of filmmakers and celebrities registered at the Festival. • 2,263: Number of room nights logged for the Festival participants and visitors. • 2: Oscar nominations for 2006 films that had their premieres at RIIFF: “The Little Matchgirl” (Best Animated Short) from Disney Feature Animation Division; and “A Recycled Life” (Best Documentary Short) Director/ Editor/ Cinematographer/Writer: Leslie Iwerks Producer/Writer: Mike Glad. • 6: RIIFF is the only festival in the United States that is a truly statewide festival with film screenings in six communities: Providence, Westerly, Kingston, Newport, Cranston, Barrington and Bristol. 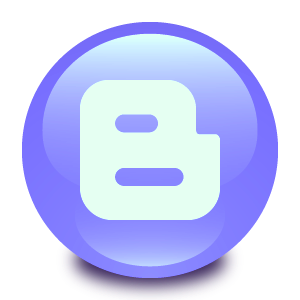 • 237: Number of screenplay applications. • 126: Staff and volunteers working on the Festival. • 34: Number of educational programs and special events presented by RIIFF: KidsEye™ Summer Filmmaking Camp; KidsEye™ International Film Festival; ScriptBiz™; 23rd Annual “Black Ships” Japanese Film Festival; Rhode Island Horror Film Festival; RIIFF’s Annual Screenplay Competition; Wordplay™ Screenplay Reading; Opening and Closing Night Galas; Between Takes™ Afternoon Industry Forums; Closing Awards Ceremonies; Cinema Cafe; Annual RIIFF’s Sponsor’s Reception; Creative Impulse Awards; Two Filmmaker Mixer and Receptions; “ Three Stars Under the Stars” Outdoor Screenings; Waterfire VIP Reception; RIIFF’s Silent Film Series, RIIFF Best of Festival Series; Cinema Rhode Island screenings; Friends of the Columbus Theatre Events; A Conversation with Michael Corrente; Lifetime Achievement Award Presentation to Cicely Tyson; RIIFF/Flickers Internship Program; First Look Series; You Be the Judge Nights; Roving Eye Documentary Film Festival and the Jubilé Franco-Américain. • 21: Number of venues throughout Rhode Island where films were screened and festival events took place. • 12: Number of special niche sidebars and programs: Providence Jewish Film Festival; Providence (Homegrown) Film Festival; Providence Gay & Lesbian Film Festival; Women in Cinema; New Director’s Showcase; Cutting Edge Cinema; Providence World Film Festival; From the North Country—Canadian Showcase; KidsEye™ International Film Festival, Roving Eye Documentary Film Festival, Vortex Sci-Fi & Fantasy Film Festival, and the New England Student Film Festival. • Sony Corporation provided an Opening Night World Premiere screening with the latest High Definition projection technology along with use of HD 24 fps camera equipment.